This week’s selection from the Gourmet Live 50 WomenGame-Changers that I and a group of my fellow food bloggers post about each Friday is Ella Brennan. 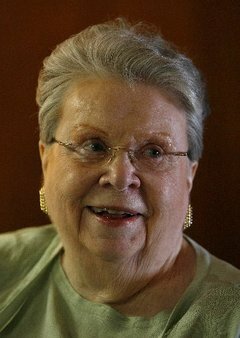 She has been a fixture in the New Orleans restaurant scene for more than 65 years and is the matriarch of a family that operates a dozen restaurants, including the world famous Commander's Palace, for which she is best known. (She lives in a home behind the restaurant.) 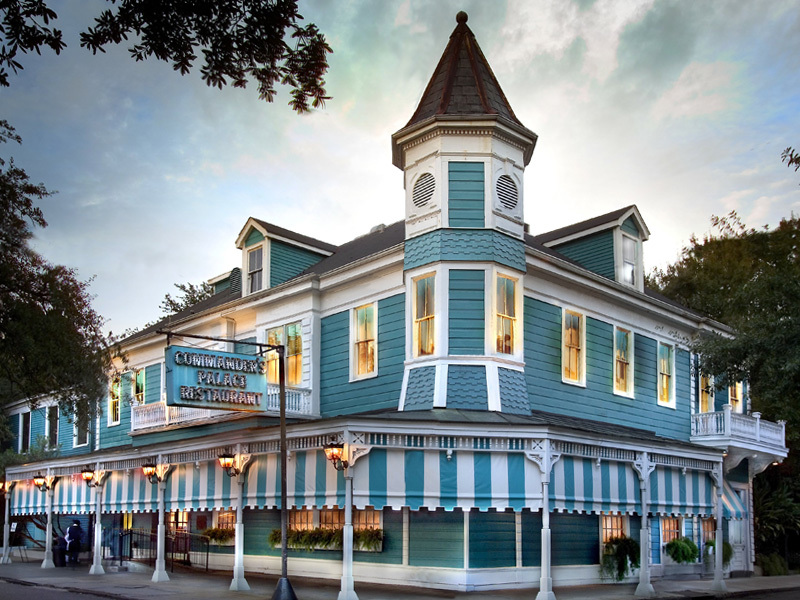 This restaurant has been the launching point for many of the city’s most famous chefs, including Emeril Lagasse and Paul Prudhomme. Mostly retired now, she is still known to show up in one of the restaurants a few times each week. 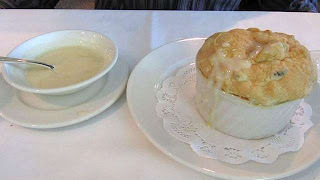 I love New Orleans cuisine and was excited to make the Commander’s Palace Bread Pudding Souffle. Unfortunately, too little time and a bad cold virus kept me out of the kitchen this week. I’ve made many bread puddings in the past, both sweet and savory. For the dessert variety, I like to use cinnamon raisin bread and add even more raisins and nuts. Instead of a whiskey sauce, I just top it with a little heavy cream. Yum. 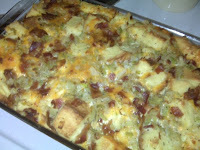 I like the savory style, also known as Italian strata, for breakfast. 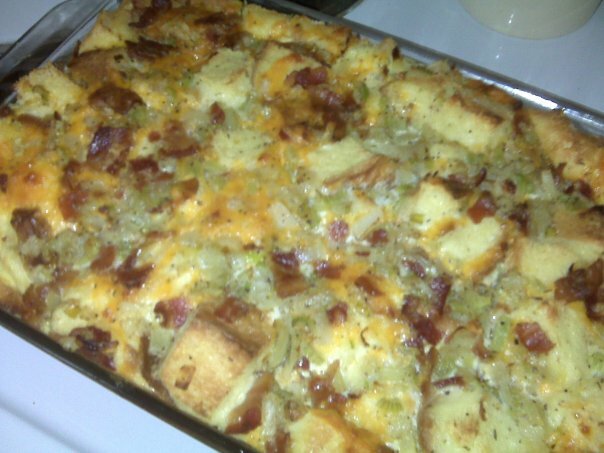 I make it with bacon, onions and cheese. This dish even tastes great the next day! Just about any bread pudding recipe can be adapted to fit your tastes. However, this one has the added twist of being a souffle with whipped egg whites folded into the mix after it bakes. When I do get time to make it, I’ll let you know what I think. If you give the recipe a try, please share your thoughts! Cook's Note: New Orleans French bread is very light and tender. If another style of bread is used that is too dense, it will soak up all the custard and the recipe won't work. Preheat oven to 350 degrees F. Grease an 8-inch square baking pan. Combine sugar, cinnamon, and nutmeg in a large bowl. Beat in the eggs until smooth, and then work in the heavy cream. Add the vanilla, stir to combine, and then the bread cubes. Let stand so that bread soaks up custard. Make the meringue: Preheat oven to 350 degrees F. Butter 6 (6-ounce) ramekins and set aside. Make certain that the bowl and whisk are completely clean. The egg whites should be completely free of yolk, and they will whip better if they are at room temperature. This dish needs a good, stiff meringue. In the bowl of an electric mixer (or in a large bowl with a hand mixer), whip egg whites and cream of tartar until foamy. Add the sugar gradually, and continue whipping until shiny and thick. Test with a clean spoon. If the whites stand up stiff, like shaving cream when you pull out the spoon, the meringue is ready. Do not over-whip, or the whites will break down and the souffle will not work. In a large bowl, break half of the bread pudding into pieces using your hands or a spoon. Gently fold in 1/4 of the meringue, being careful not to lose the air in the whites. Add a portion of this base to each of the ramekins. Place the remaining bread pudding in the bowl, break into pieces, and carefully fold in the rest of the meringue. Top off the souffles with this lighter mixture. Smooth and shape tops with a spoon into a dome over the ramekin rim. It sure sounds delicious. I m glad you are on the mend as well. I've never made a bread pudding and I think I have to try this one, the souffle aspect really tempts me, it must be delicious. I'm so glad you got a shot of the restaurant, it looks so grand. I love Bread pudding. I have made it many times. It is very comforting. I usually make it for desert. You could eat it for breakfast if you like. Thanks for sharing with us. How intriguing that they're whipped in after baking...I'd love to try this one day. What a beautiful building that is! I have it bookmarked - the bread pudding is quintessential southern-delicious. Glad you are starting to feel better! This sounds delicious! I love bread pudding...this seems to kick it up a notch! Very nice!